Check out the playlist section of our YouTube Channel for more videos. 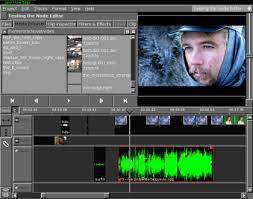 Open Movie Editor - free open source video editing software! This is where I post interesting videos that I find (or sometimes make). 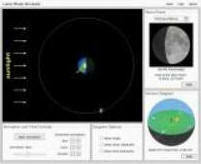 You'll also find lots of videos embedded in the lesson pages. This video shows an incredible scale model of the solar system, made by Wylie Overstreet and Alex Gorosh. Thanks to Jon Hargreaves of Ivybridge Community College for sharing this one! Video credit: YouTube / Wylie Overstreet & Alex Gorosh. This video shows you the relative sizes of some objects in our solar system, and then compares them to stars of varying sizes. Quite astonishing! This video shows a Rube Goldberg machine - an incredible and complex series of energy transfers in motion! OK Go's "This too shall pass" - a Rube Goldberg Machine in action! This video shows a bowling ball and feather being dropped in the world's biggest vacuum chamber - first with the effect of air resistance, and then without! Astronauts on the International Space Station! Astronauts on the International Space Station. Music credit: Arkist. Check out his soundcloud page. This TED Education video explains how tsunamis happen. This video explains ideas about space travel and rocket science, using only the thousand most common words in the english language. It was inspired by this fantastic XKCD poster. Video credit: Youtube / XKCD / MinutePhysics. This video explains 3 ways we could save Earth from an Near Earth Object (NEO), such as an asteroid or comet. This video explains ideas about matter and antimatter, in a very simple and concise way. This video illustrates ideas about relative velocities, galilean reference frames, and momentum. Thanks to Stuart Ellaway of Ivybridge Community College for sharing this one! This video shows an intriguing phenomenon called the Magnus Effect, and some of its applications. This video examines ideas about countable infinities, in a novel context! ideas about infinity are often used in our models of gravity, electric fields, and many other physical phenomena. This video shows the oscillations of guitar strings, captured using the video camera on a mobile phone. The standing waves show up because of an aliasing effect caused by the low frame rate of the video camera. Thanks to Chris the lumberjack for sharing this one with me! This TED Education video looks at how simple ideas and questions can lead to profound scientific discoveries. A little bit of inspiration for aspiring A-Level physicists! This is Reggie Watts' TED talk. He does some INCREDIBLE beat boxing and constructs music from nothing more than his voice, a loop sampler, and some effects units. Find this interesting? Check out the Key Stage 5 section of the site! There's some great work on signal processing and manipulation of audio waveforms in the G491 module of the Advancing Physics A-Level course. You'll find some fantastic free audio editing software and activities to try out. 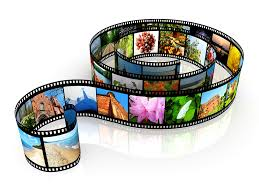 There is also some great free image manipulation software and video editing software. A fantastic, funny, awesome TED Talk - by Reggie Watts. Video credit: TED Education / YouTube. Warning: this content is quite silly. This video, from the TED talks, is aimed at teachers and educators - but students and aspiring teachers might enjoy it too. It is Sir Ken Robinson's famous talk about creativity in schools :) It looks at education in general, rather than science or physics education specifically. I found it to be an inspiring and thought provoking watch - hopefully you will too! Sir Ken Robinson's famous TED talk about creativity in schools.